Cromwell, the son of a brewer, rose from obscurity to become ‘Earl of Essex, Vice-Regent and High Chamberlain of England, Keep of the Privy Seal and Chancellor of the Exchequer. He manoeuvred his way to power through intrigue, bribery and sheer force of personality in a court dominated by the brutal and malevolent Henry VIII. Cromwell pursued the interests of his royal master with single-minded energy and little subtlety. Tasked with engineering the judicial murder of Anne Boleyn when she had worn out her welcome in the royal bed, he tortured her servants and relations, then organized a ’show trial’ of Stalinist efficiency. He orchestrated the ‘greatest act of privatisation in English history’ - the seizure of the enormous wealth of the monasteries, both to enrich the crown and to ensure the loyalty of the English nobility and rising merchant class. Cromwell made himself a fortune too, accepting colossal bribes and binding noble families to him with easy, but high-interest loans. He returned home from court literally weighed down with gold. The story of his rise and fall is colourful narrative history at its best, rich in incident and squalid detail. Others have praised Cromwell’s undoubted administrative and bureaucratic talents: this is the case for the prosecution: he was probably the most corrupt politician in the history of Britain. "The definitive biography of Henry’s most notorious Minister"
"…an excellent study of greed, power and paranoia. Full-blooded Tudor history." "In this gripping and solidly researched biography, Robert Hutchinson zestfully presents the case for the prosecution….Hutchinson relates the story of Cromwell’s downfall, like is career, with tremendous verve…the account of how he was destroyed…reads like Greek tragedy. 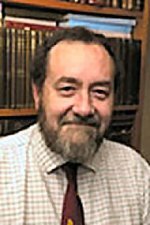 Hutchinson tells his story with infectious relish and vividly evokes the politics and personalities….Ably charting both the early years of the English Reformation and the related f action struggles…..his account is studded with memorable anecdotes and well-chosen quotes." 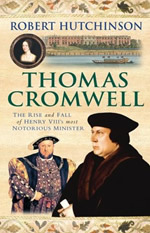 "Vigorous, pacey and focused….an effective portrait of Henry VIII’s most notorious Minister, The author has a good eye for telling examples and effective quotations"
"Hutchinson’s rich narrative… as the author unveils through his .in-depth research, strict adherence to detail and above all, his flowing writing style, Cromwell was a maniac who used the blunt instrument of his brutal personality to become a devastating political force in England….This is a compelling ‘must read’ for anyone interested in religious upheaval in England"
"Hutchinson… is level in his judgement and writes exceptionally well. The best kind of popular history, this will appeal to many readers." "Easy to read and entertaining… the research consistent and excellent… only wish that viewers of the television series of The Tudors and the many readers of Wold Hall would read this biography."